Realize the power of Investigations 3. Realize is the online learning management system that powers all you do. It contains all your math digital resources, content, assessments, data, and planning tools. 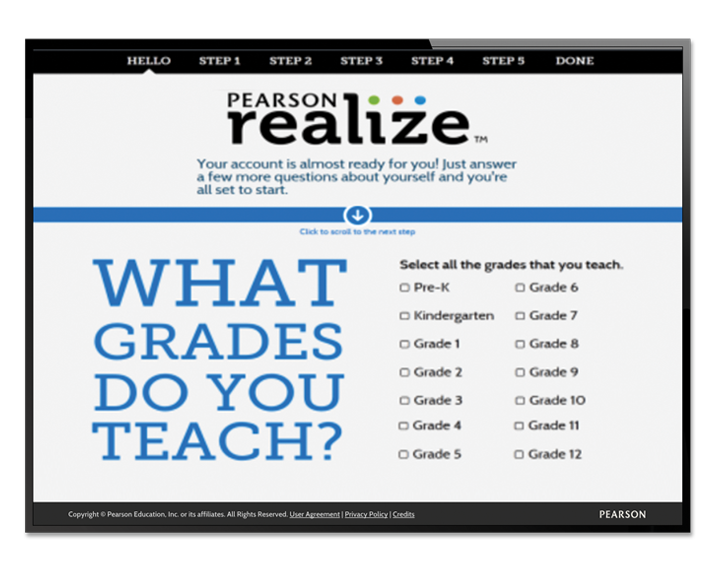 Realize helps you work smarter, faster, and better, so you can realize your teaching potential. Click, tap, browse. thINk! All your math digital resources delivered in seconds! Realize lets you search by keyword or standard. It provides point-of-use access to all you need. 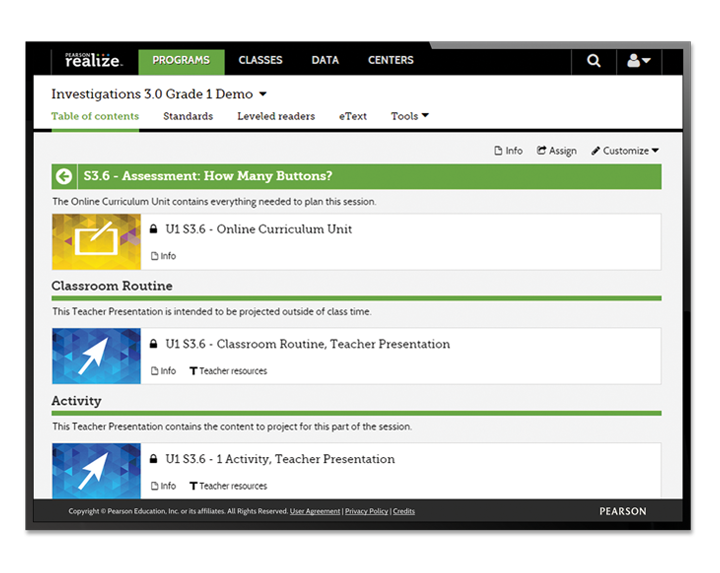 You can modify content and assessments. Or drag-and-drop to rearrange content. Add your own links! 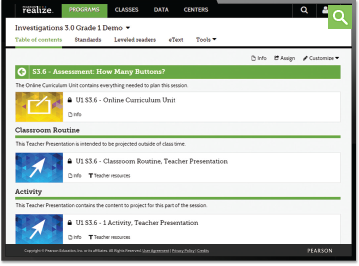 It’s easy to set up classes and manage student rosters. 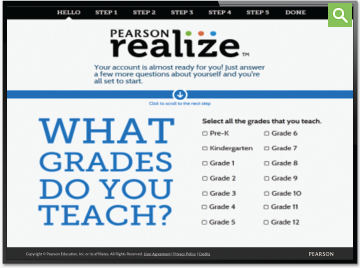 Realize lets you check standards mastery and progress. See who’s completed assignments. Identify who’s falling behind. This is smart data. Data you can use. Math digital resources energize teaching and learning.